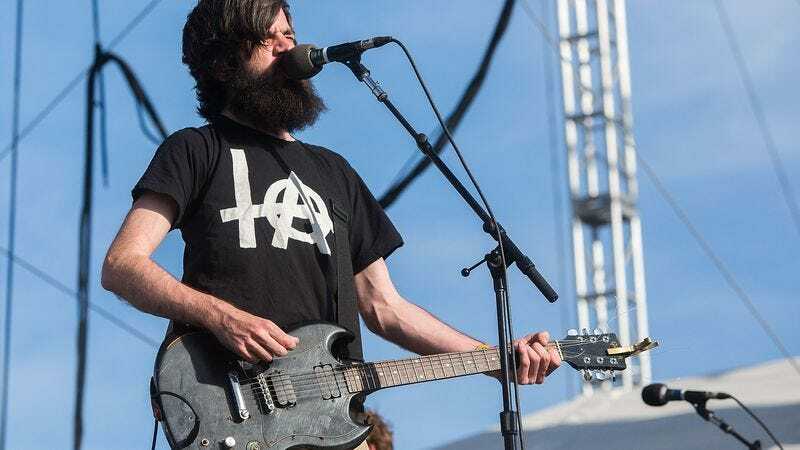 Titus Andronicus has a reputation for putting on pretty raucous shows, so it’s hardly surprising that the band is finally putting out a live album, dubbed Stadium Rock: Five Nights At The Opera. It’s equally unsurprising, then, that Titus Andronicus will also be embarking on an extensive tour to promote Stadium Rock in a few months. Also, as is tradition with Titus Andronicus tour announcements, the band has released a new song that you can jam out to while you skim the tour dates to see if your city is listed. The song is called “69 Stones,” and it’ll be included on Stadium Rock. You can see a video for it below, above the full list of dates. Stadium Rock will be available digitally on July 29, and a special vinyl edition will be released on August 5.